South Spring Street Garage: 12 S Spring St, Greenville, SC 29601 Daily Rate (1st hour): FREE, (2nd hour): $1.50, (each additional hour): $1.00, Max Daily Rate: $7.50 Very Clean and Safe. 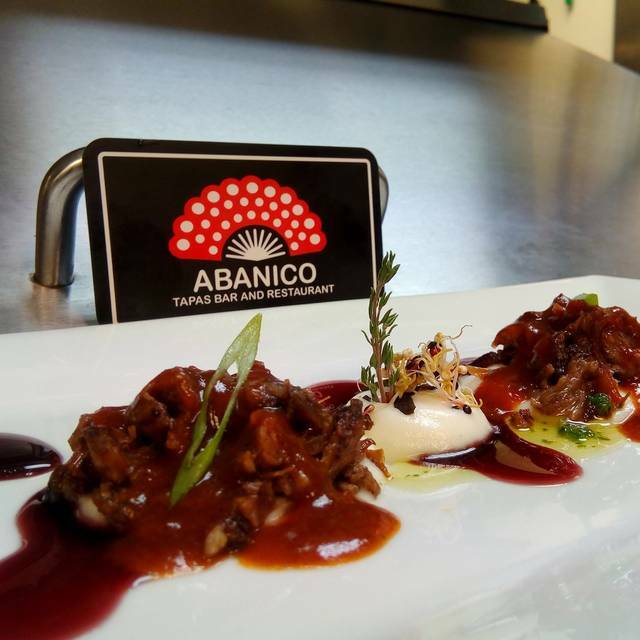 Abanico ~ Tapas Bar Restaurant & Music is excited to offer Spanish European cuisine to the Upstate. Experience a stylish gourmet meal full of elaborate tastes of a never-ending variety and one of its kind in Greenville, SC! 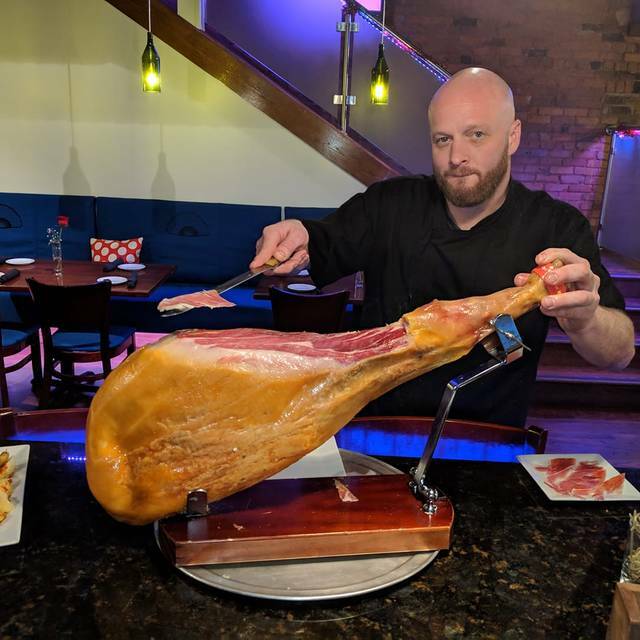 Our most popular dishes are the Pulpo a la Gallega - Tender Grilled Octopus with Olive Oil and Pimentón, Paella de Mariscos - Spanish Style Rice with Seafood with Saffron, and Rabo de Toro-Slow braised Ox Tail with Red Wine Reduction. Many couples on a date night visit for tapas & drinks, dinner and dancing afterwards at Abanico Upstairs, Friday & Saturdays 10 pm - 2 am. We also off catering for special events and a venue space available for private events. Great place to meet up with friends for a mid week get together. Food was amazing. Service was lacking. Will go back though because the food was just that great! Tuna was the best! Great tapas, good wine menu, and the service was also good. Was not authentic Spanish tapas. Had to wait on refills and flag the bartender to get a refill. We were the only ones in there. Highly recommended with many positive reviews. I would say mostly accurate but this is not a five star experience. The dishes are good not great, nothing is outstanding. Drinks, good. Service is very good. Noise level is almost annoying if there’s a large group in the bar area, which there was during our meal. It’s good. I felt they were understaffed. And then when the server abandoned us and about 5 other tables it was sad. We were early bird and did get our food. Others we maybe not as fortunate. I feel for the management, but as said, service was very slow from the get go. Food was good and prices were fair. Great atmosphere, service and food!!! With this place being newly open, I think we need to give it some time to find it's way. The service was OK but not great. We had to ask for one dish we ordered several times before they brought it out towards the end of our meal. Also we had to ask to pay the bill 2x. Due to some table mix up, our credit card was returned to us (without actual receipt to sign or bill) after enquiring about it after 10-15 minutes. We had to ask to bring them our bill again so we could actually pay for our meal, which we were finally able to do. The did offer us complimentary cheesecake for the inconveniences. We tried a few of their red wines to see which one my wife and I liked best so we could order a bottle of it. Our waiter was extremely accommodating to this request and promptly provided us with several samples. We didn't really liked any of them so we decided to go with a bottle of Cava, which was good. A few points of remark with Cava though: a. When ordering a bottle of wine, it should really be opened at the table and not brought to table opened. b. Cava or any sparkling wine should be poured in appropriate glasses, not the red wine glasses already on the table and c. Sparkling or white wine ordered by the bottle should be served with a cooler. It might sound picky but I think these are items that show that a restaurant knows what they are doing or not. First time to be there. Great service. Took several recommendations from our waiter. Food was very good. Came out one plate at a time. So we could slowly work our way through the dishes we had. Will definitely return. Great, authentic tapas. Personal and friendly service. Most definitely will make it a point to return! Great food and drinks,the service was excellent. Incredibly affordable and the menu was diverse. A must try. Will be back soon!! The food was very good, service was unbelievably horrible. It was such a disappointment because I would have loved to come back to try more tapas. They had a good deal of 5 for 30$ or 3 for 20$ and most of the food came out in a reasonable amount of time. However, my husband and I waited over 30 minutes for our drinks... twice. They did comp two drinks but they really should have comped all of our drinks considering it took literally 3 hours for us to get out of there. They also forgot to bring us our dessert. By the time they came back to check on us it was probably 30 minutes after we ordered dessert and it turns out she never rang it in so we requested she cancel the order because we could not stand to be there any longer. Then it took another 30 minutes for her to bring the check, when they brought it there was an incorrect charge and it took another 20 minutes for them to fix that. They were apologetic but their service was so ridiculously bad I don’t think I can give them another chance. Loved every bite! Met the owner and chef who took the time to chat with us about the food and his inspiration for the dishes. The croquetas de pollo were awesome. Will definitely be back! Thee staff were incredibly helpful and understanding when we needed to add a seat to our reservation and also throughout the rest of the night! This was my third time there and each time I’m impressed with the improvements Abanico has made and the wonderful food. The food! It was so delicious and took me back to the month I spent in Spain! Very pleasant and enjoyable experience. Negatives: Arrived early (before reservation). Hostess told us that she would come back with a cocktail menu which we never received. Sat at bar while we waited and got no service until we finally called the bartender over. Ordered a beer that they were out of. Ordered another beer with a glass and had to ask again for the glass. We were sat at a table that I cannot believe they think was appropriate! Me and my date are relatively thin and there was no way that we were going to fit at this table comfortably . There was literally a foot of space between the table and the chairs max. We were moved to another table where we waited quite a while to order. We initially ordered more drinks to a different waiter. The original waiter came back and said we needed to re-order the drinks because our original drinks weren't in the computer?!? The drinks came quite a while later (separately) and one of them was wrong (missing an orange slice that we stressed during the order). Positives: All of the food was good. The drinks were pretty good once we got them. The team seemed to know that the service was terrible and the drinks as well as one of our tapas were taken off of the bill. Overall: Drinks and food were not good enough to go back based on the service we received. There seems to be no process or procedure here, and at times it seemed like total anarchy. I would rather go to Cazbah or Lazy Goat for tapas as I have had good experiences at both. Delicious food. Every tapas was excellent. My too favorites were oxtail and the tuna but everything was tasty and well prepared. Loved that it was quiet and easy to talk to my date! Perfect place to enjoy each other! Great place for a authentic Spanish food with excellent atmosphere and good dancing music. It was Valentines Day. The food was great. The Flamenco dancers were excellent. Overall a great experience. Except our server took forever to do anything. Our drinks went empty, we wanted more tapas and couldn’t get his attention and the check took forever to get. Very nice looking place with an awesome atmosphere. A warm welcome, and friendly servers and management. Will definitely return often. My husband and I had dinner here for the first time and were very pleased. The food was great! We had the 5 tapas for $30 - the potatoes, brussel sprouts, pork cheeks, ahi tuna, and oxtails. It was not busy that night so no issues with service. We definitely plan to return. The restaurant is beautiful and hip, one block away from the heart of Main Street. Easy parking, there is a garage right across the street. Restaurant has a bar, plenty of wine choices, sangria, beer, and many other cocktails. The manager was very attentive and came to our table a few times to make sure everything was great. The food is exquisite. We had 5 tapas, it was very hard to pick our favorite. Very filling. Presentation is 5-star. Definitely recommend for any event, birthday, date night, night out. Thank you for your encouraging comments, Bienvenidos. 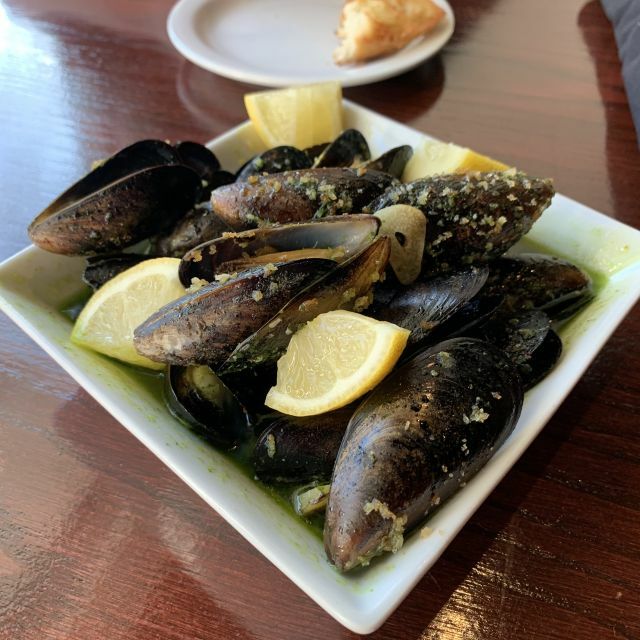 We've been at these restaurants several times and the food is always excellent. Highly recommended. Carlos, Thank you. I am very happy you enjoyed yourself. Second visit was not very good. Will not return. I did a review update from my visit Dec 22. Brought another couple with us and they did not like the service or the food. Service was terrible and the waiter was not very good. No water refill, order was wrong and slow. They need to get improve the service. The restaurant was not busy yet they were slow. The group next to us waited forever for one tapas. As we said in previous review the waiter argued with us that he was right in telling us no coffee when three of us all agreed he never said it. Customer is always right and his 15% tip reflected his attitude. I usually tip 20-22% To many other restaurants downtown that we enjoy and won't be returning. I am very sorry you had a bad experience in our restaurant. I have responded in private as well so that we can correct matters. The food was great and the service was horrible. Although our waiter was personable he was so far in the weeds that after taking our order he never came back to our table. I would certainly go here again but plan to sit at the bar. I am very sorry you had a bad experience with service. I have responded in private as well so that we can correct matters. I am happy you enjoyed the food though. Grilled octopus was fabulous, tender & flavorful. 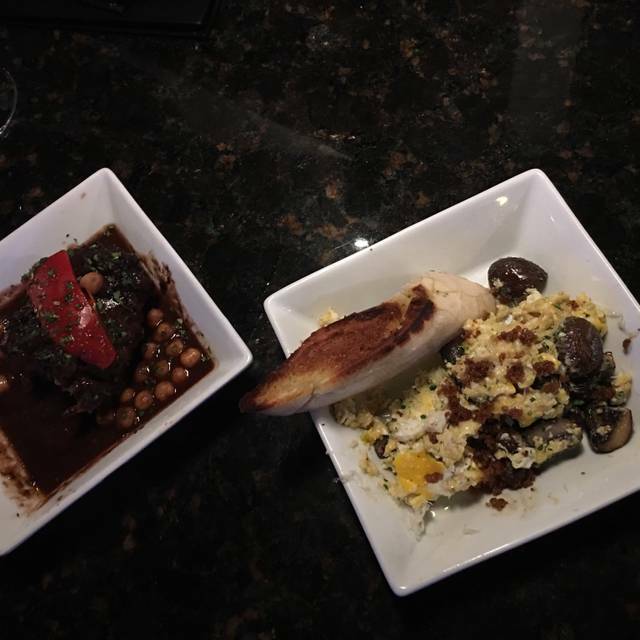 All portions were generous and every dish had such succulent flavors from Spain. Service was spot on and the wine list was fine Spanish selections. Cheesecake was an excellent end to the meal. Highly recommended! Brian it was a pleasure serving you and your family. I know you traveled a little ways to try us and greatly appreciate that. Please let me know when you wish to return. My wife and I love tapas - took a shot on this place and so glad we did! Great food - great wine - had an awesome time and a great meal. I am so glad you took a chance and liked what you discovered, here's to many more Good Food nights. Large tapas portions. Great new place! Friendly owners. Loved the suggestions from Theodore. Thomas, Thank you for your visit and kind words. I hope you become regulars. Great spot for tapas type meal. Service was outstanding. I happy you enjoyed yourselves. Here's to a lasting relationship. Great experience with Abanico. Food was excellent. Services was a little off. The restaurant was slammed because it was SC Restaurant week. Will definitely go back again. If you in the mood for traditional Spanish Tapas in Greenville, SC this is your spot. Thank you Jeb for your visit and kind words. We were busier than expected for Restaurant week, but we should have prepared for the unexpected. Pleasantly surprised by this find during restaurant week. Will definitely go back. Sobys Fan, Thank you for discovering us. I hope you will be back soon. Great menu and all the food was outstanding. The service got a little backed up and slow at times but the staff was great about explaining everything and making sure we were satisfied. We will definitely return. My husband, sister and I came here for Restaurant Week. Each of us we very pleased with our selection, both food and drinks. Everything was great, and we will definitely be back. Service was great too! Made an Open Table Reservation but it was not noted by restaurant, however they were able to sit us. Otherwise they worked graciously with us to get our order ready so we could continue our other plans. The portions were great, the food was amazing! My Girlfriend and I, went for her birthday. We will definitely make this a regular date night spot. Came here for restaurant week. Great experience! And good value - so many more things we would come back and try! My parents travel a lot and can be picky when it comes to this type of food and they really loved it! Some favorites were the paella, the octopus, the Brussels sprouts and the pork cheeks. All the dishes were delicious and the service was just perfect! We didn’t keep our reservation because they couldn’t seat us even when we arrived because the 7:30 reservations had not been sat yet. There were multiple dirty tables and no rush to clear them. Great food in small plates so you can try different things. Spanish wine available is very good too.